We’re going to keep this review as short and as deservedly sweet as Harlott’s latest album. With Extinction, Australian’s number one thrash act have just entered the thrash big leagues. This blistering effort is frankly effortless, conjuring images of thrash’s glorious past with each measured assault and offering up enough variations on Slayer’s blueprint to keep attention focused directly on them and neck muscles strained to breaking point! This beast is relentless (and ironically more so than Slayer’s latest) and stands shoulder to shoulder with anything released and lauded in the last decade. “Extinction”, “Parasite”, “The Penitent”, “Violent Conspirator” and the deliciously experimental “And Darkness Brings the Light” are all killer, drawing on the defining work of Exodus and the aforementioned Slayer and yet fashioning something, new, fresh and exciting from each and every pummelling riff. 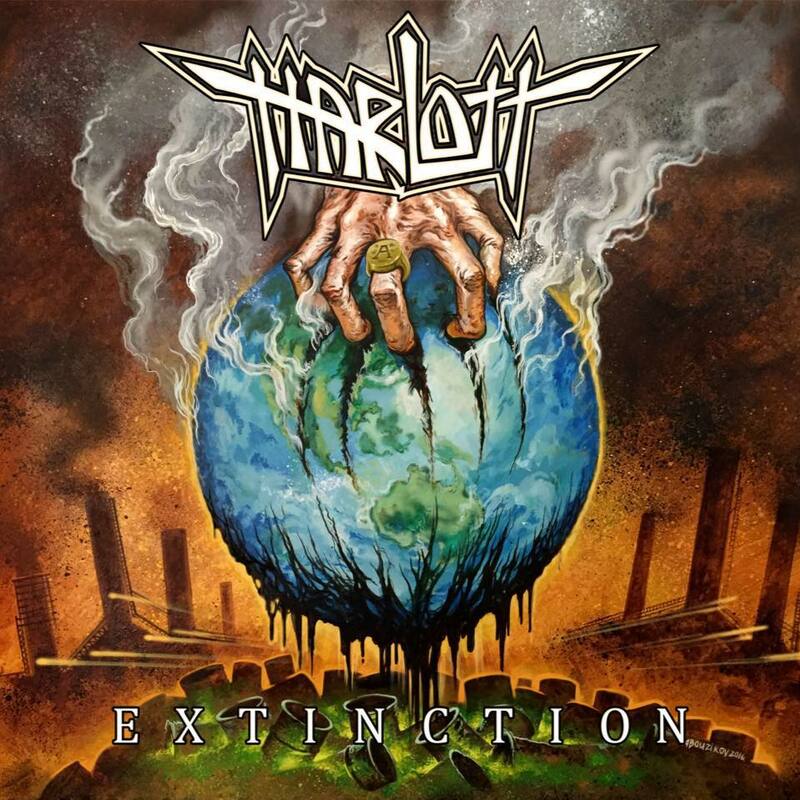 So, this year has already thrashed hard with the likes of Jenner, Warbringer, Havok, Kreator, Overkill, Power Trip, Holycide, Sepultura (still kinda thrash) and Terrifier unleashing outstanding levels of thrash in all it’s guises but Harlott have delivered an extinction level event in the thrash world. Rampaging Thrashers DUST BOLT Release Video For “Bloody Rain” – WATCH NOW! New Album, Trapped In Chaos, out on January 18th 2019!